First known as the German Theater, this gem of the Prague operatic scene was opened on January 5th, 1888 with a production by Wagner, expressly for the German artists in Prague who had previously been performing at the Estates Theater and longed for their own space, spurred on by the creation of the National Theater and its almost exclusively Czech performances. This charmer of a theater boasts an over-the-top neo-Rococo interior that simply drips with European charm and grace. You will feel like an aristocrat of old when you take your seat in one of the plethora of boxes available. Despite its candy-sweet appearance and grace, the State Opera House has a surprisingly serious history. It went from its original name and function as the German Theater innocuously celebrating the richness of German theatrical tradition, to being under Nazi control and used for housing performances by visiting ensembles from the Reich and Nazi party functions under the name of the German Opera House, to being an extraordinarily avant-garde Czech theater called the Fifth of May Theater, which functioned as the daring counterpart to the National Theater’s more conservative role in the Prague theatrical scene. Now arrived as the best operatic venue in Prague, and indeed one of the best in Central Europe, the State Opera House is truly a lovingly restored marvel! Experience for yourself the gilded gem of Prague’s opera scene with its massive gold chandelier, painted ceilings, and rich detailing. The State Opera House is resplendent with lush crimson velvet, gold detailing, and scrollwork of the highest quality everywhere you look. 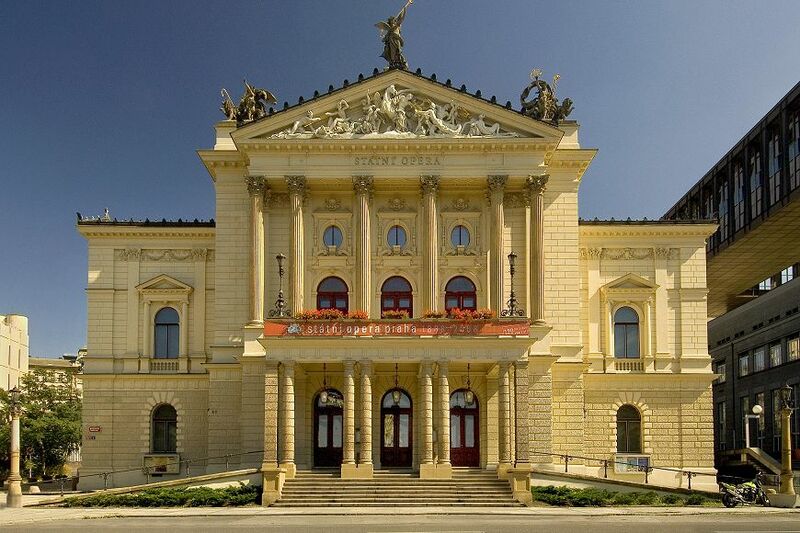 Among the most beautiful theaters in Central Europe, this European dream setting is matched by the quality of its productions featuring such masters as Puccini, Verdi, Strauss, and Mahler, as well as ballets by Tchaikovsky and Prokofiev. 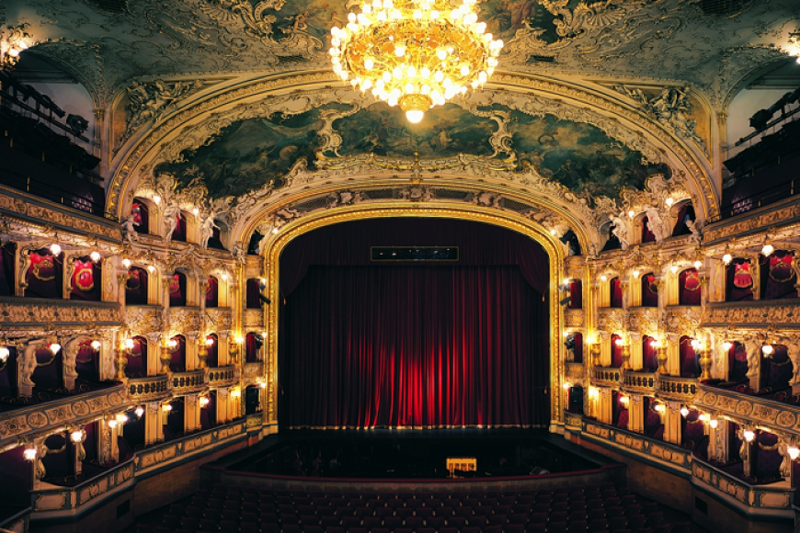 Splurging on a great seat is highly recommended here in order to take your State Opera House experience to the next level. Located conveniently near the National Museum at the top of Wenceslas Square, and the main train station of Hlavni Nadrazi, the State Opera House is easily accessed from all over Prague, and is within easy reach of excellent dining and nightlife to continue the experience after the performance is over. Box seats also make unforgettable gifts for that special occasion, and season or single performance tickets are available.